Characteristics: The 2012 Brunello di Montalcino is a striking wine blessed with gorgeous clarity and precision in an effortless, weightless style. Dark cherries, tobacco, incense, dried flowers and minerals come together beautifully in the glass in this sensual, understated wine. Tobacco, licorice, menthol and an assortment of other balsamic aromas and flavors add complexity and character to the vivid, textured finish. "Falstaff Magazin" has rated the wine "Poggio Antico Brunello di Montalcino DOCG, Tuscany, Italy" from the vintage 2012 on 17.03.2017 with 94 of 100 points. "Luca Gardini" has rated the wine "Poggio Antico Brunello di Montalcino DOCG, Tuscany, Italy" from the vintage 2012 on 01.01.2017 with 90 of 100 points. "Falstaff Magazin" has rated the wine "Poggio Antico Brunello di Montalcino DOCG, Tuscany, Italy" from the vintage 2011 on 18.03.2016 with 94 of 100 points. "Vinous Antonio Galloni" has rated the wine "Poggio Antico Brunello di Montalcino DOCG, Tuscany, Italy" from the vintage 2011 on 01.02.2016 with 89 of 100 points. "Wine Enthusiast" has rated the wine "Poggio Antico Brunello di Montalcino DOCG, Tuscany, Italy" from the vintage 2011 on 05.01.2016 with 94 of 100 points. "Wine Spectator" has rated the wine "Poggio Antico Brunello di Montalcino DOCG, Tuscany, Italy" from the vintage 2010 on 30.06.2015 with 93 of 100 points. "Falstaff Magazin" has rated the wine "Poggio Antico Brunello di Montalcino DOCG, Tuscany, Italy" from the vintage 2010 on 20.03.2015 with 92 of 100 points. 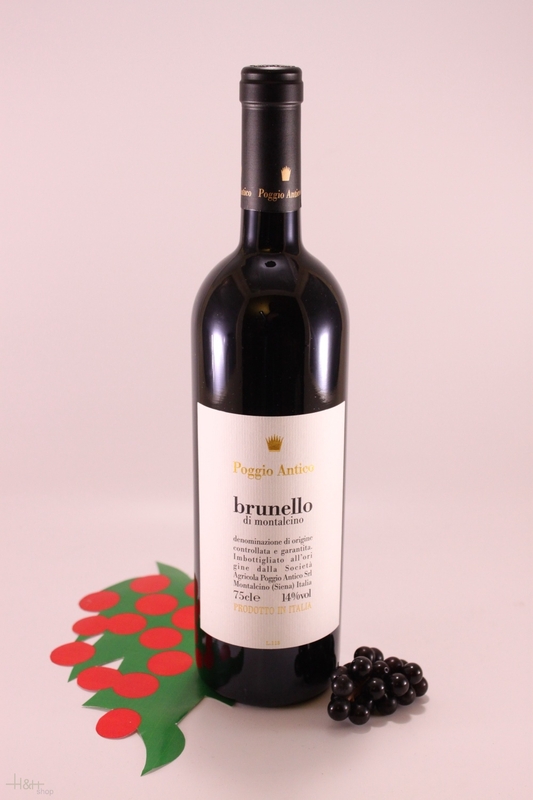 "Wine Enthusiast" has rated the wine "Poggio Antico Brunello di Montalcino DOCG, Tuscany, Italy" from the vintage 2010 on 05.01.2015 with 94 of 100 points. "Vinous Antonio Galloni" has rated the wine "Poggio Antico Brunello di Montalcino DOCG, Tuscany, Italy" from the vintage 2009 on 01.07.2014 with 91 of 100 points. "Wine Spectator" has rated the wine "Poggio Antico Brunello di Montalcino DOCG, Tuscany, Italy" from the vintage 2009 on 30.06.2014 with 90 of 100 points. "Vinum Wine Magazine" has rated the wine "Poggio Antico Brunello di Montalcino DOCG, Tuscany, Italy" from the vintage 2009 on 01.04.2014 with 16 of 20 points. 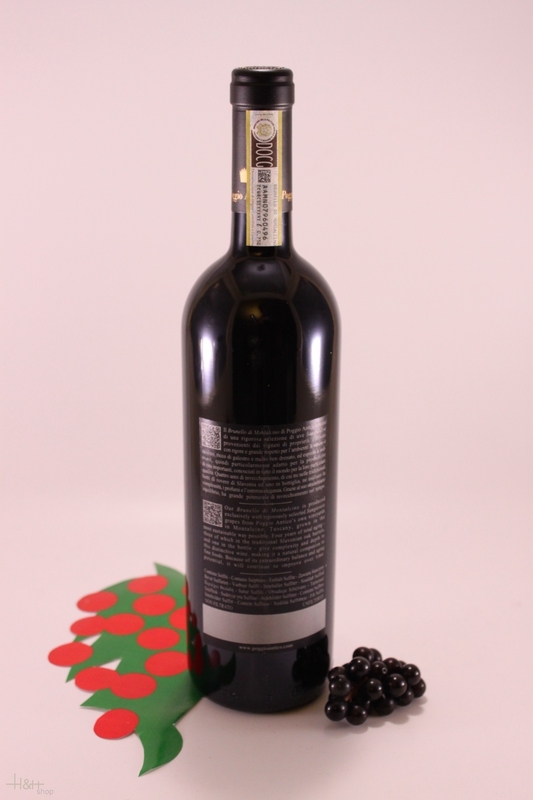 "Falstaff Magazin" has rated the wine "Poggio Antico Brunello di Montalcino DOCG, Tuscany, Italy" from the vintage 2009 on 21.03.2014 with 91 of 100 points. "Wine Enthusiast" has rated the wine "Poggio Antico Brunello di Montalcino DOCG, Tuscany, Italy" from the vintage 2009 on 05.01.2014 with 89 of 100 points. "Vinous Antonio Galloni" has rated the wine "Poggio Antico Brunello di Montalcino DOCG, Tuscany, Italy" from the vintage 2008 on 01.07.2012 with 91 of 100 points. "Wine Spectator" has rated the wine "Poggio Antico Brunello di Montalcino DOCG, Tuscany, Italy" from the vintage 2008 on 31.05.2012 with 92 of 100 points. The results of this synergy - grapes harvested in the Carbonaione vineyard - are worked with passion and dedication by Vittorio Fiore and his son Jurij in order to obtain a wine of great power and elegance, capable of expressing in all of its richness the terroir in which it is born.